Posted by Yilan in Cyprus, Turkey, Yunanistan. 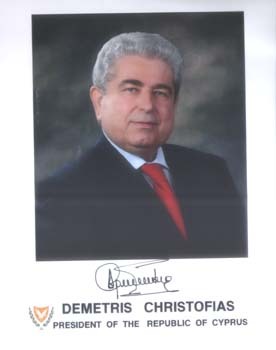 On July 20, 1974, Turkey invaded Cyprus, a tiny island-nation on the eastern corner of the Mediterranean Sea, on the pretext of protecting the minority Turkish population on the island after a coup sponsored by the military junta in Greece forced the elected president of Cyprus to flee. The coup, led by Greek army officers sent to train the Cypriot national guard, failed because the people of Cyprus did not want to united with Greece. They wanted to keep their status as in independent nation. But Turkey used the temporary turmoil to invade the island. In a clear violation of U.S. law, Turkey used weapons supplied by the United States for “defensive” use to attack Cyprus. The military invasion of Cyprus lasted a few weeks, but Turkey managed to drive out 200,000 Greek-Cypriots from their homes in the northern part of the island. One in three Cypriots became refugees in their own country. More than 6,000 Greek-Cypriots (mostly civilians) were killed by the Turks and another 1,600 disappeared behind Turkish lines. Thirty-seven years later, Turkey still has not provided a full accounting of the whereabouts of 1,300 men, 116 women and 133 children trapped behind the advancing Turkish army. Turkish troops set up what became known as the “Attila Line” and a Turkish occupation force of 40,000 troops have guarded the occupied territory since 1974, preventing Greek-Cypriots from returning to their ancestral homes. 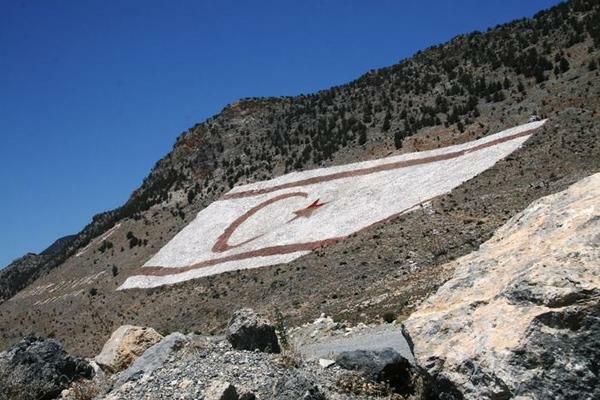 Turkey continues to occupy nearly 40 percent of Cyprus. The Turkish regime set up a puppet state known as the “Turkish Republic of Northern Cyprus,” recognized by only one nation — Turkey. Over the past 37 years, more than 120,000 Muslim settlers have been brought from mainland Turkey to occupied Cyprus, forever changing the ethnic and religious balance of Cyprus, a Christian nation that once hosted the Apostle Paul, who preached on Cyprus during his first missionary journey. Paul also converted the Roman governor of Cyprus during his visit, establishing Cyprus as the first nation in the world to be governed by a Christian. The invasion of Cyprus and the annexation of the northern third of the island by Turkey have been condemned repeatedly by the United Nations, but we all know how effective U.N. resolutions are. They’ve been ignored continuously by aggressor states like Turkey. Relations between the United States and Greece have been strained since the 1974 invasion. And our so-called ally, Turkey, has repeatedly turned its back to U.S. requests to use its air space and U.S.-built military bases for operations in Iraq and Afghanistan. Since the 1974 invasion, every American administration has pledged to find a resolution to the Cyprus problem, but every single president — Gerald Ford, Jimmy Carter, Ronald Reagan, George H.W. 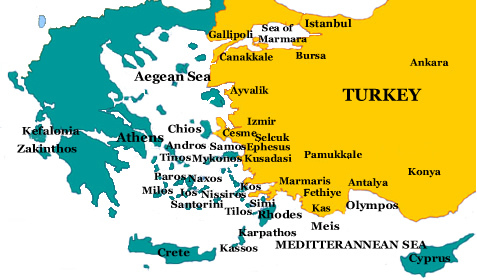 Bush, Bill Clinton, George W. Bush and Barack Obama — has failed to persuade the Turks to leave Cyprus. The United States has always maintained a double standard when it comes to Turkey. The U.S. criticizes North Korea and Iran for human rights violations and aggressive actions against their neighbors, but will not do the same with Turkey, which has openly violated U.S. law and thumbed its nose at the U.S. repeatedly. Had Turkey consented to allow the U.S. to open a second front against Saddam’s forces during the 2003 invasion of Iraq, thousands of Saddam loyalists — the so-called insurgents killed hundreds of American soldiers — would have been captured or killed. Instead, they fled the advancing U.S. forces from the south and set up for the guerrilla warfare we saw for years in Iraq. The only just solution to the Cyprus problem is the immediate withdrawal of Turkish troops from the island and the removal of the 120,000 illegal Turkish settlers. The only way to force Turkey to comply with U.S. and international law is to stop sending American tax dollars to Turkey. Write to your congressman today and ask why billions of U.S. tax dollars are being spent to support a rogue nation like Turkey. Posted by Yilan in Cyprus, Turkey. “We hope to find a solution to the Cyprus problem by the end of the year, and hold a referendum in the early months of next year so that Cyprus can take on the presidency of the EU as a new state that represents the whole island,” Davutoglu said. The Cyprus dispute is a major obstacle for Turkey’s bid to join the European Union, aside from opposition from EU heavyweights France and Germany. Greek Cypriots say Turkey cannot join the bloc until the Cyprus conflict is resolved. “A solution will bring real peace to the eastern Mediterranean and truly unite Europe,” Davutoglu said.